Happy Friday the 13th! 👻 I know this post should have been written last Sunday, but I noticed the date that was on this Friday and nothing better than Friday the 13th to share some spookiness. 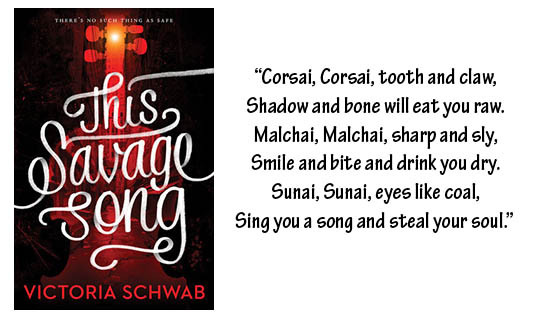 You can still join Halloween Book Bingo, although you won't be eligible for the giveaway. Or maybe you can if you share your sign up post on the comments section. Today I bring you from the dead of night -or from under your bed- the most terrifying book MONSTERS! It's a small list, but if I lived in a world where they were real, I would not be able to sleep. 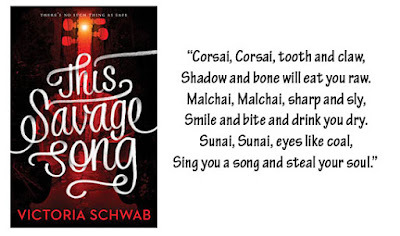 Sunai, Corsai & Malchai from Monsters of Verity by Victoria Schwab. 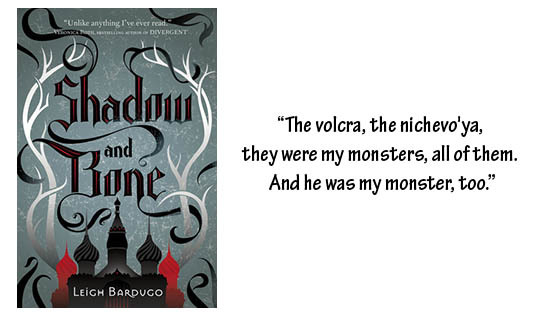 The volcra from Shadow and Bone series by Leigh Bardugo. 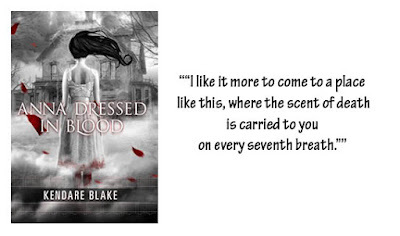 Every ghost from Anna Dressed in Blood by Kendare Blake. Dracula from Dracula by Bram Stoker. Which book monsters scare you the most? Which book monsters scare me the most? Probably all the monsters in Jay Kristoff's Nevernight and Godsgrave. Thank you. I'm happy you enjoyed this post. I haven't read Jay Kristoff's Nevernight and Godsgrave, but now that you have mentioned that this series has monsters, I must read it soon. OMG the Volcra are so freakish. They definitely scare me a lot. Dracula is also a disgusting, terrible creature. I just read Kendare Blake's Three Dark Crowns and it was FANTASTIC. 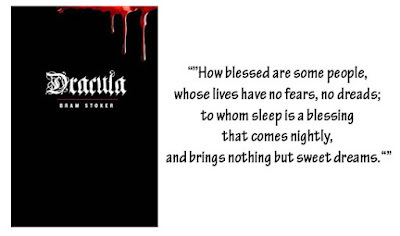 I only found out she had written Anna Dressed in Blood a little while ago, and it seems to be one of the top spooky books on everyone's recommendation lists! I CAN'T WAIT TO READ IT!!! When I learned how the Volcra came to be, I found them even more scary than I already did. I would not like to find a Volcra in a dark street corner... or Dracula, for that matter. Nope! I hope you have the opportunity to read Anna Dressed in Blood soon because it's a great Halloween reading. I think for me it's gotta be pretty much anything from Stephen King :D particularly IT! I've been dying to read Stephen King. I've Misery on my TBR pile, but I've been told I should read The Shinning and Carrie first. But I'll probably skip all of them and just read IT first so that I can watch the film. It's fun to see Shadow and Bone on your list because that's what I'm currently reading! I only started it last night so I'm only a few pages in to it but I'm excited about getting more into the story.